Located in Rutledge Hill—just a few blocks south of Historic Broadway, in the heart of Downtown Nashville—is the newest outpost of the Neighborhood Dining Group, Husk. Lead by Executive Chef Katie Coss, the kitchen reinterprets the bounty of the surrounding area, exploring an ingredient-driven cuisine that begins in the rediscovery of heirloom products and redefines what it means to cook and eat in Nashville. 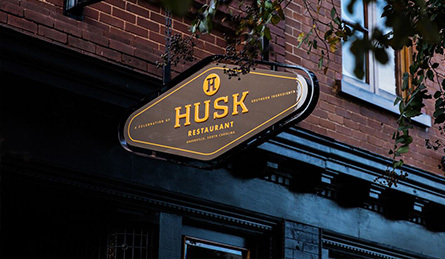 Centrally located in downtown Greenville, Husk, from The Neighborhood Dining Group, transforms the essence of Southern food and highlights the unique ingredients of upstate South Carolina. Lead by Executive Chef Jon Buck, the kitchen reinterprets the bounty of the surrounding area, exploring an ingredient-driven cuisine that begins in the rediscovery of Heirloom products, agricultural practices, historical recipes and exploring the possibilities of Southern Foodways.